Great write up Andre. Some good points. I had also been considering the differences in equipment/approach between the Nepalese + the elite sponsored runners and you have captured these well. 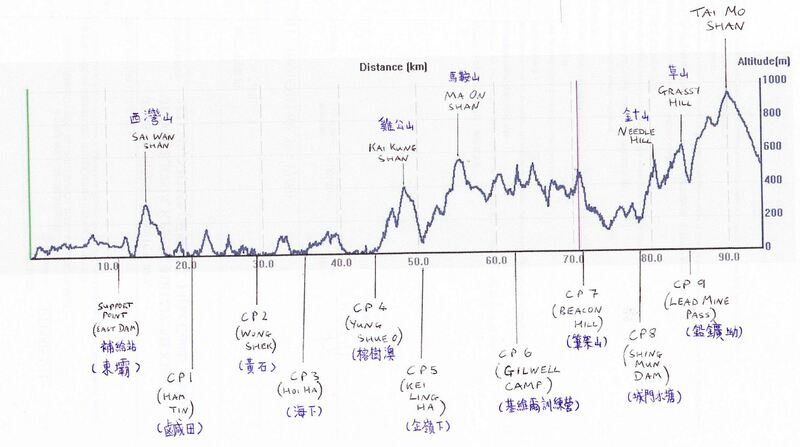 Like you, I can’t wait to sign up for the next HK100. A thoroughly well-organised event from Steve & Janet to the students and army of volunteers stationed along the course and at the check points. They have done HK proud! Yes Lloyd, I think with a bit of financial support many of these talented runners from the likes of Nepal, Philippines etc. would go a long way. I was somewhat surprised that there was no stronger showing from Mainland China though. Ok, one Top 10 finisher, but I would have expected a deeper field in the Top 50 … perhaps just a matter of time. Marcus, do you see Ryan breaking Killian’s record in TNF100 Aus – he has really come into his own since Leadville. Difficult to tell, if he targets it and has some early competition then it is possible. I think he’ll do it. And I also think a lt of the local Aussie runners will be far more competitive this year. It stands to reason that the more we race against some of the world’s top talent, the better, over time we’ll become. This is why we should embrace this kind of thing and encourage more investment into the sport. My prediction, Ryan will be sub 9:10. Just seeing TNF’s Jez Bragg has entered, that should make for some good action at the front. What the hell is runner M5 packin’ in the first photo!? Probably a sypmtom of the proven train-high-race-low concept. Vibram HK100 results mentioned in the latest Talk Ultra podcast from 16:30mins onwards. Thanks a lot for a nice write up for people who could not be there. I am sitting in Pokhara here having just been for a great run up the hill to the peace pagoda with Sudip. You are absolutely right about the Nepalese runners. With a little sponsorship and, importantly, some advice from people who know about training, which races to enter, nutrition, strategy & psychology etc. Then they can improve their best, and who knows what that would be.